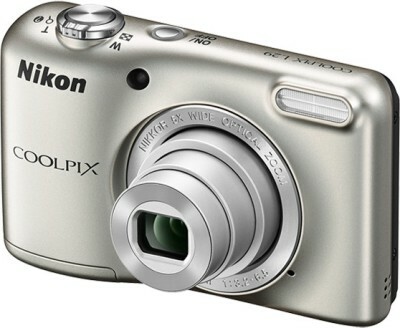 Snapdeal offering Nikon Coolpix L29 16.1MP Digital Camera (Silver) at 4300/- Lowest Price available online. Capture exceptionally high quality images using the compact and stylish Nikon L29 Point and Shoot camera. 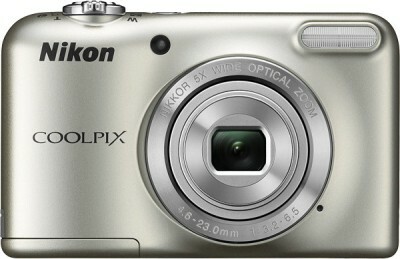 This lightweight compact digital camera easily fits into your pocket or bag, so you can carry it with you always. It runs on alkaline AA batteries so you do not have to worry about running out of charge. 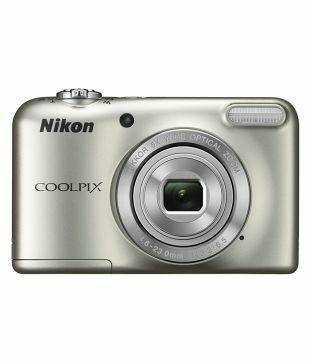 This Nikon Coolpix is designed for easy use. The L29 come with a CCD image sensor and delivers 16.1 megapixels. Go ahead and capture beautiful pictures with the Nikon L29 Point & Shoot. The camera is capable of shooting 720p HD videos - just press the movie button and start shooting. The auto mode automatically adjusts the camera settings to suit the shooting situation, while the Motion Detect Blur reduction feature reduces camera shakes especially while shooting handheld. Enhance your pictures with a wide selection of filters, Quick Effects, Smart Portrait System and Skin Softening effect. The camera is equipped with 5x optical zoom and fast autofocusing capability for delivering an exceptional performance as you zoom into distant objects. The L29 comes with a 2.7-inch TFT LCD with approximately 230-k dot resolution and 5 level brightness adjustment. Preview or compose your shots on this clear LCD monitor and get perfect shots every time you click with the L29.